Winterhalter was born in the Black Forest where he was encouraged to draw at school. In 1818 he went to Freiburg to study under Karl Ludwig Schüler and then moved to Munich in 1823, where he attended the Academy and studied under Josef Stieler, a fashionable portrait painter. Winterhalter was first brought to the attention of Queen Victoria by the Queen of the Belgians and subsequently painted numerous portraits at the English court from 1842 till his death. King Pedro is depicted in his naval uniform, with the ribbon, collar and star of the Order of the Tower and Sword of Portugal and the badge of the Golden Fleece. He was the son of Maria II, Queen of Portugal, and Ferdinand Saxe-Coburg-Gotha. 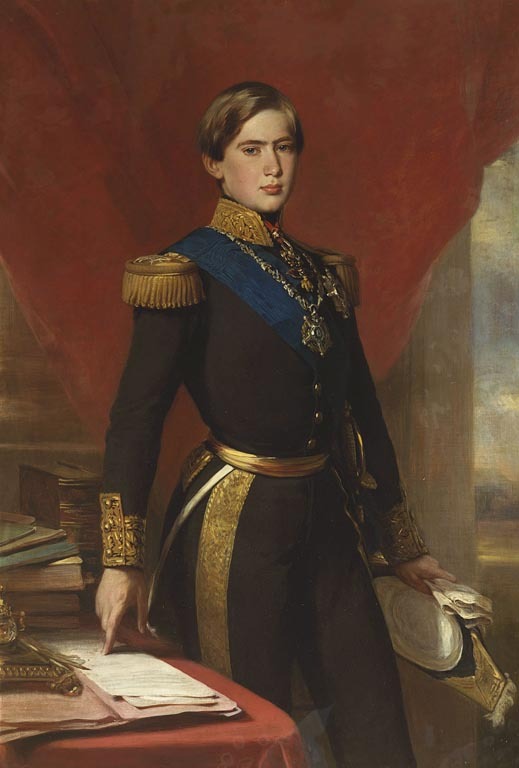 He had succeeded his mother to the throne of Portugal in 1853. 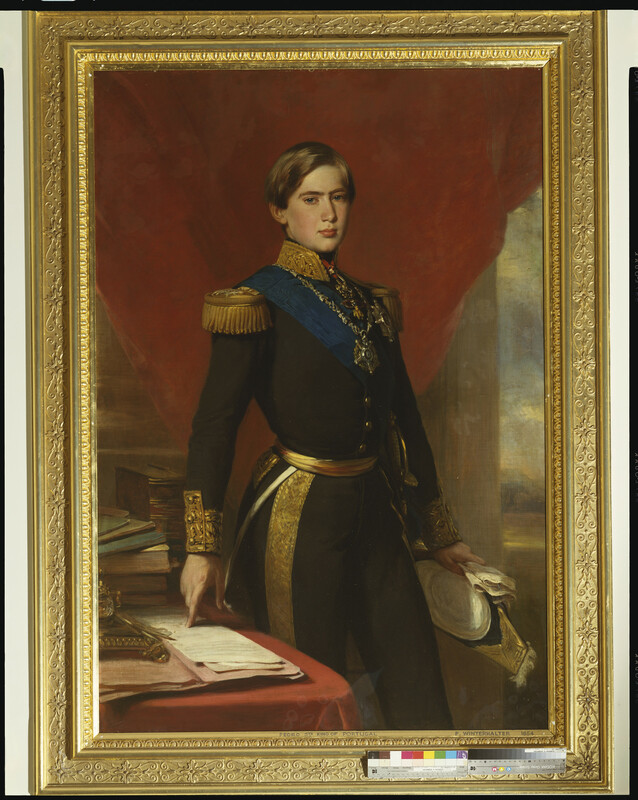 Queen Victoria thought him ‘out and out the most distinguished young Prince there is…good, excellent and steady according to one’s heart’s desire’ and was deeply distressed by his death from typhoid fever in November 1861, aged 24. Signed and dated: F Winterhalter 1854. Inscribed on the back with the names of the artist and sitter and the date, June 1854.